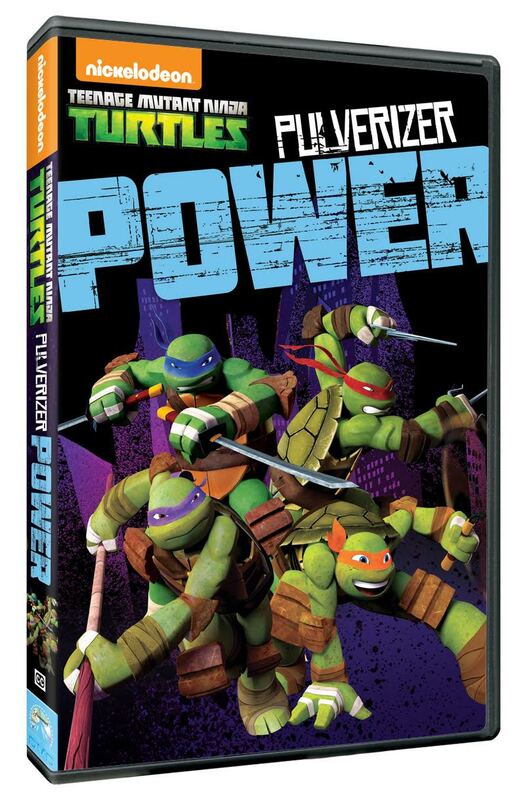 TEENAGE MUTANT NINJA TURTLES:PULVERIZER POWER Review! Free For All received a sample to facilitate this review all opinions are 100 percent my own! Leonardo, Raphael, Donatello and Michelangelo find themselves facing a new kind of obstacle--the ultimate fanboy--in Teenage Mutant Ninja Turtles: Pulverizer Power. The Pulverizer is a teenage boy who wants nothing more than to dress up and fight crime just like his favorite superheroes. In this volume, the Turtles reluctantly train this new crime fighter and ultimately learn how to work together. 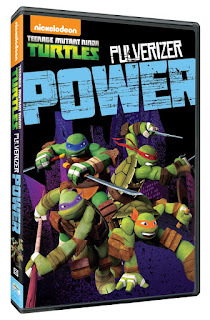 Created by Nickelodeon Home Entertainment and distributed by Paramount Home Media Distribution, Teenage Mutant Ninja Turtles: Pulverizer Power is available on DVD June 9 for the great value price of $9.99. The Pulverizer— The Turtles meet their first fanboy when a teenage wannabe hero decides to fight crime and dress up as The Pulverizer. The Pulverizer Returns— When Shredder schemes to create a fearsome army of mutants, the Turtles have no choice but to rely on the help of the newest recruit to the Foot Clan—The Pulverizer! Mutagen Man Unleashed— Donatello obsessively experiments with mutagen in a bid to find a cure for April’s mutated father. Unfortunately, this puts April in danger from a new threat—Mutagen Man! Magic Castle Bounce House Giveaway! Cricut Explore Machine's Get Your's Today! "SPRING INTO SCIENCE” 4 DVD GIVEAWAY! Octonauts: Crocodiles & Crabs Review! Dino Dan: Swimming with Dinosaurs AVAILABLE NOW! BUBBLE GUPPIES: THE PUPPY AND THE RING Review! Max and Ruby: Sharing is Caring DVD Review! Spongebob Squarepants Triple Feature DVD Review! Blast Zone Big Ol Bouncer Review! 2 New Lalaloopsy Episodes Airing on Nickelodeon!